Today, during the PlayStation State of Play stream, we got a look at a new Marvel game, Marvel’s Iron Man VR. The trailer showed some interesting first-person combat, with Iron Man himself, flying around and destroying enemies. VR seems like a fantastic choice for Iron Man, as it sort of matches the way Tony Stark might feel in his suit. It’s being published by Sony Interactive Entertainment and being developed by Camouflaj, who you might remember for their work with République. Seeing as how this is being published by SIE, it will be a PSVR exclusive, which is a great win for the platform. The game will allow you to play as Tony Stark, as he comes face-to-face with ghosts from his past and infamous Super Villains from the comics. You’ll also get to wear the brand new suite called Impulse Armor, as designed by costume designer Adi Granov. Interestingly, Marvel’s Iron Man VR has only been in development for around two years, according to Marvel’s Blog. The teams at Camoflaj and SIE have been working on making sure the flying, shooting and action feel natural on PSVR. We’ve set our sights on not only giving the player thrilling moment-to-moment action. But also a deeply personal, and appropriately funny, narrative that puts players in Tony Stark’s armored shoes.” Payton referenced his first Marvel comic, IRON MAN #290, and the entire “Demon in a Bottle” story arc as the storyline that drew him to the fun nature and complexities of Stark—of the man behind the armor. Since he first took flight in 1963, Iron Man has perfectly symbolized the evolving marriage between cutting-edge technology and humanity. Now players, like the Armored Avenger himself, can jet through the skies and see the world through his helmet’s hi-tech HUD, while blasting away at threats that harness Tony Stark’s past to threaten Iron Man’s future. This wasn’t the only PSVR announcement we got today, as there were a slew of release dates given, as well as a look at Five Nights at Freddy’s VR: Help Wanted. 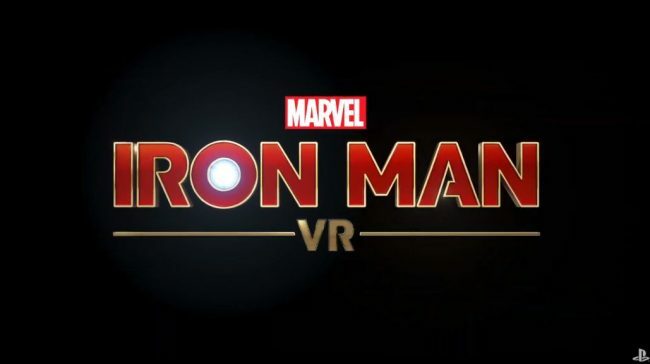 Marvel’s Iron Man VR is currently planned for a 2019 release, but no specific date was given.